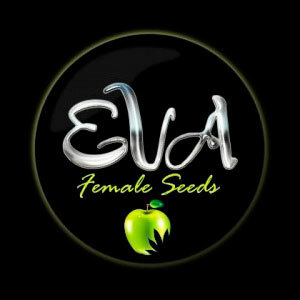 Eva Seeds' Gipsy Haze feminized marijuana seeds come from the cross between (Jack Herer x Black Domina) x Space Bomb. The result is a fast-growing well-proportioned plant that provides great yields of very resinous buds with an intense citrus, incense and fruity aroma. It has a lime, mango and incense flavour. Ideal for Haze genetic lovers. SHAPE: Big central bud with long side branches full of very compact and resinous buds. Very vigorous, well-proportioned and robust. EFFECT: Very powerful, energetic and funny. 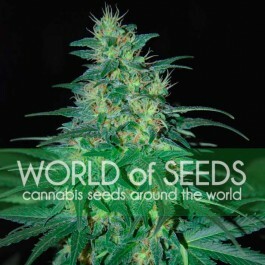 It is also used as medical marijuana to relieve some pains and lift the mood. SMELL: Very intense mixture of lime, mango and incense tones. FLAVOUR: Fresh and intense, mixture of incense, sweet and citrus tones. END OF FLOWERING HEIGHT: from 1.8 to 3 meters depending on the sowing time. MINIMUM HEIGHT TO PASS ON TO FLOWERING: 25 cm. We recommend 9 to 12 per meter. SUMMARY: Ideal for Haze genetic lovers, very powerful, resinous and aromatic. Only 8 to 9 weeks flowering.